Details: Norwegian Log produce Classic Scandinavian and Contemporary Inovar garden buildings. 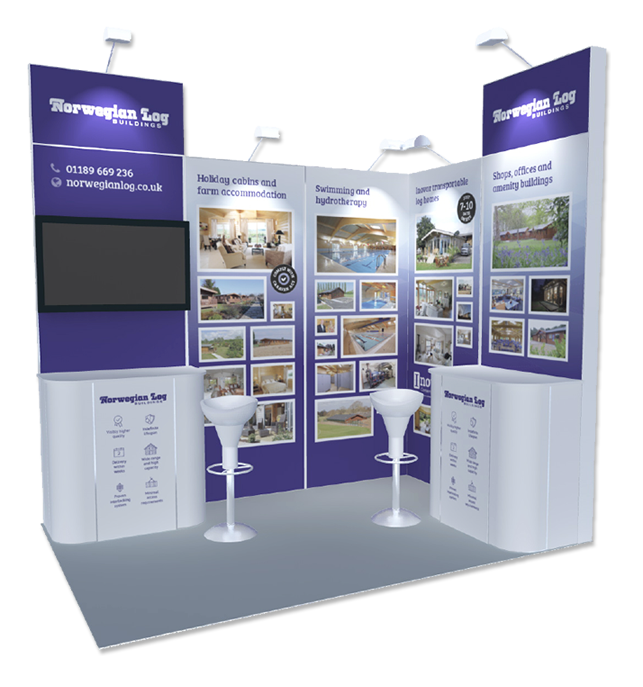 For the Farm & Country House Business Innovation Show at the NEC they needed a new display stand and they asked me to brand the stand and fill it with loads of sample images to work as a discussion board. 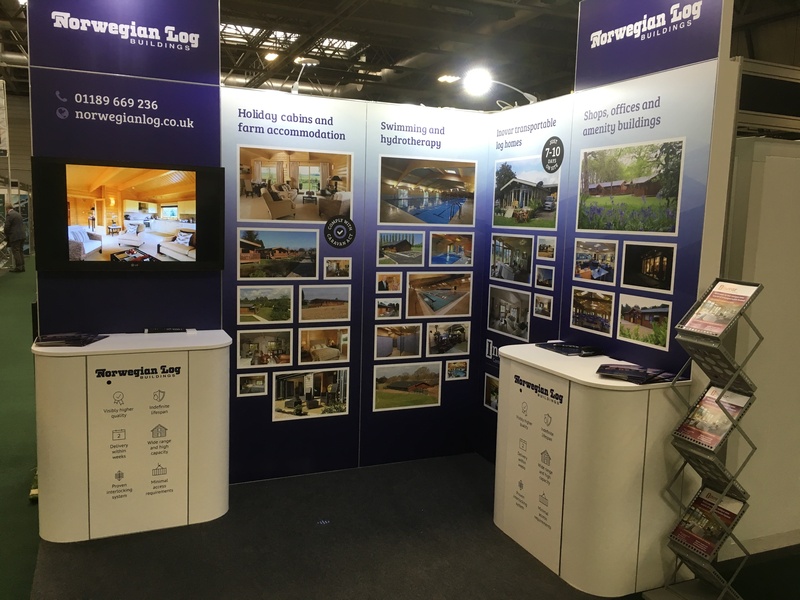 The result was a clean, distinctive and very cost effective stand which helped them look professional, stand out from the crowd and really supported their sales team.